Lil’ Einstein’s is a growing brand of local preschool and daycare centers. When they contacted Build Your Online they had a website produced one of the template companies that was producing little to no results. 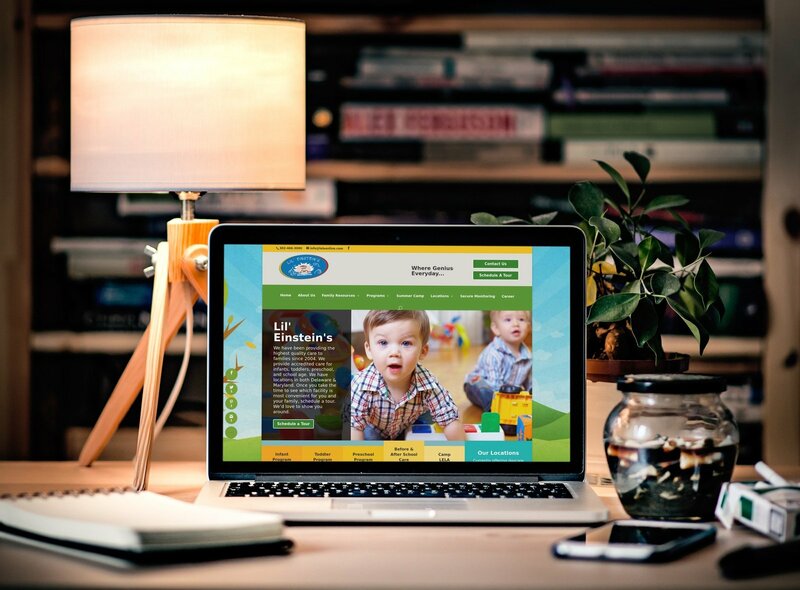 Build Your Online worked with Lil’ Einstein’s and began the implementation of our multiple different strategies. We began with the design and development of a custom built responsive website. It was then optimized with current search engine optimization (SEO) techniques in mind. As their new website was implemented we also began optimizing their social media channels along with their other digital marketing. We began utilizing Facebook advertising along with optimizing their monthly Google Adword spend. We continue to manage Lil’ Einstein’s digital media presence including creating and optimizing Google listings for new centers, constant local search engine optimization, and more! Lil’ Einstein’s focuses on getting parents to tour the facility. Once inside their centers speak for themselves. Build Your Online’s goal is to get parents to the door. Want to grow like Lil' Einstein's?